Do you recognise any of the books in this picture? You probably do. 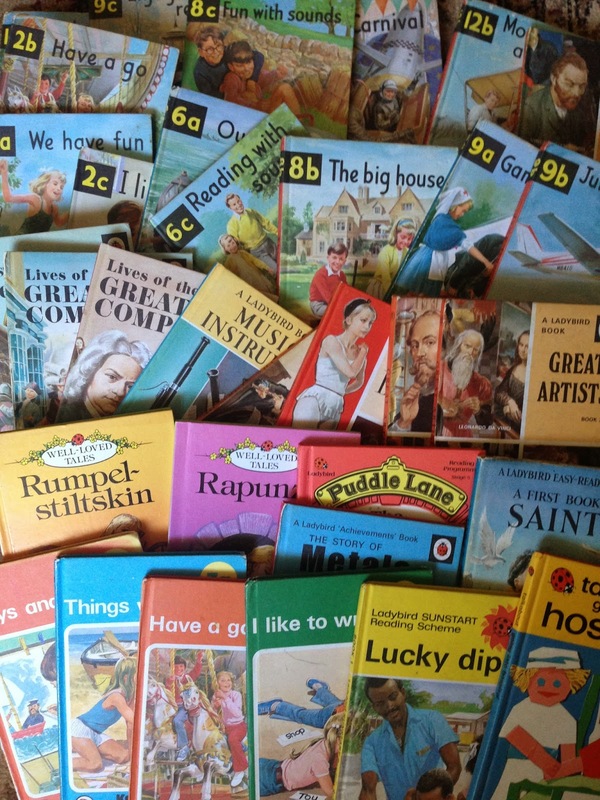 These are just some of the books illustrated by the wonderful Martin Aitchison – one of the most versatile and prolific of all ‘Golden Age’ Ladybird artists. I feel strongly that not enough attention has been paid to Martin. Although he is, I believe, the only one of the major Golden Age artists still living, and although he is in great shape for his 95 years, it’s rare to find an article or feature in the media that features him extensively. Even in Ladybird’s latest offering: the book Ladybird by Design, the page on him comes straight from the biography on his website and involved no direct communication. If you think this sounds strange, I should mention that Martin suffers from profound hearing problems. If you feel this still doesn’t explain things, then you think as I do. Anyway, the good news is that Martin is going to visit the De La Warr Pavilion Ladybird Book exhibition on Friday (24th April) in Bexhill-on-Sea. I’m going too so if you’re free on Friday and live nearby perhaps you could come and say hello. We’ll be getting to the Pavilion at about 12.30 so if you’re there, don’t be shy. Come and say hello to him. Martin is intelligent and humorous. He lip-reads well and has friends and family who can support him with communication. In today’s world, hearing loss should be no barrier to telling your story, especially when the story is as interesting as Martin’s. Not the Musical Instruments one, surely? Different style. Not at home to check but would guess Robert Ayton/Ayrton, slightly darker toned than others in the series. But substitute 'Story of Music' for 'Musical Instruments' (next to each other on shelf) and all is well.